This is our herd queen, Daphne. Born in 2009, she is retired from breeding and and enjoys her days lounging around with her pasture friends and human friends. She is a very pretty and friendly doe that gets along with horses, cats, chickens, dogs, and her goat friends. Even as our herd queen, she has been good to all of our goats and kids born on the farm. 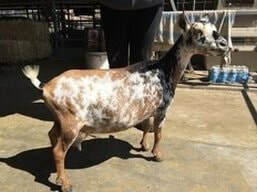 She is one of our favorites but we would be willing to let her leave the farm if she could find a wonderful home with other goats (no bucks) to hang out with and enjoy life with her new family. She is not to be bred. soap: please contact us via email regarding available soap. Thank you! Pictured are some of the goat milk soaps we've made - Approx 4.5 oz. 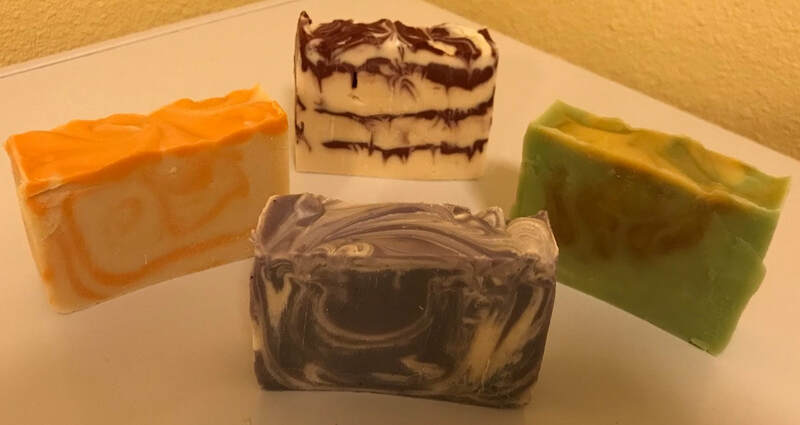 We make soaps in small batches and each one is unique so contact us if you are interested in what we have available. Soaps are made with goat milk from our sweet and lovely girls! From free range and happy hens - they hang out with the goats!